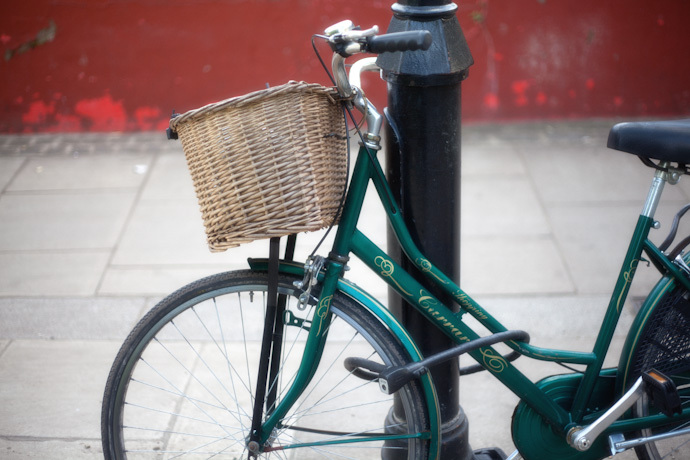 happy to be back in london today; if only because i get to ride my bicycle (not the one pictured above) to and from work & farther afield on the weekends. This entry was posted in a book of days and tagged bicycle, i love words, sir arthur conan doyle. Bookmark the permalink. that quote is, ah, so right. thank you for sharing. do you know what work it is from? I don’t I’m sorry Holly. I found it on thinkexist and there’s no work cited in regards to it. what a wonderful quote! so true! Preferably while remaining upright! That is a gorgeous bike. Not helped by the fact that, as soon as I realise I am toppling over, I begin laughing uncontrollably and all thoughts on unclipping fly out of my mind. I’m glad I took that photo. The bike was there for months and months. And now it’s gone. I hope someone is riding it!